Make your own Disney magic with the Belle’s Blooming Castle playset! 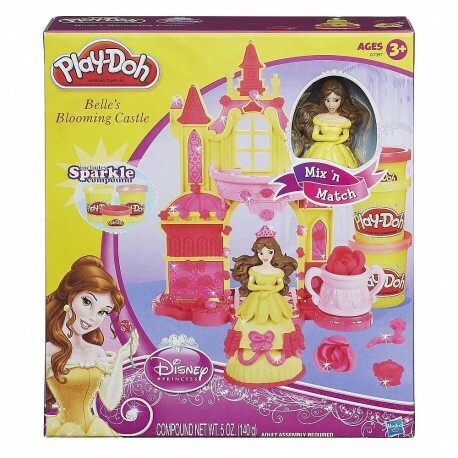 This amazing castle has a Princess Belle in front, and you can use the Play-Doh modeling compound and Play-Doh Sparkle compound to make her dress fit for a princess. Make roses “bloom” with the rose extruder next to her, and decorate the castle to match all the beauty of your princess and her roses! There’s no end to the magical creativity with the Belle’s Blooming Castle playset! 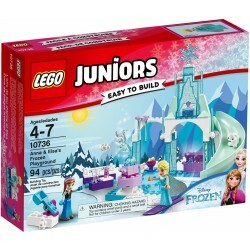 Includes base, castle façade, balcony, doll top, skirt mold, gown attachment, rosebush attachment, 1 can of Play-Doh modeling compound and 2 cans of Play-Doh Sparkle Compound.